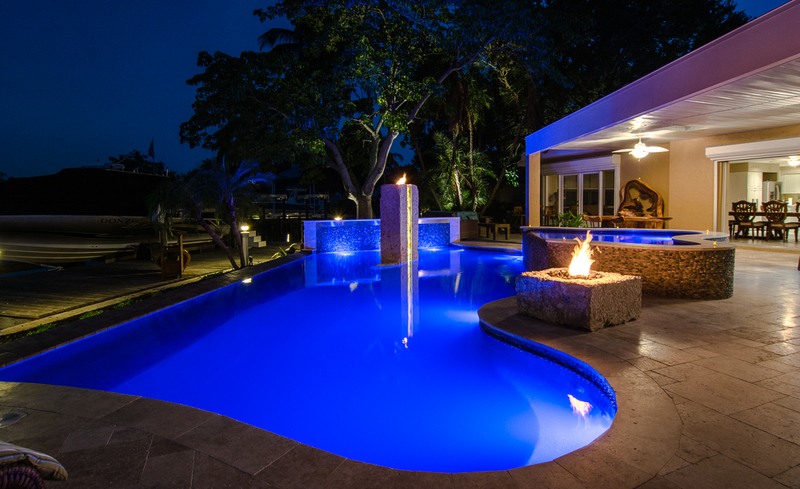 Pankiw’s Paradise, as it was dubbed on Episode 2 of Insane Pools, is one of our new Modern Zen Minimalist Pool & Outdoor Living space. 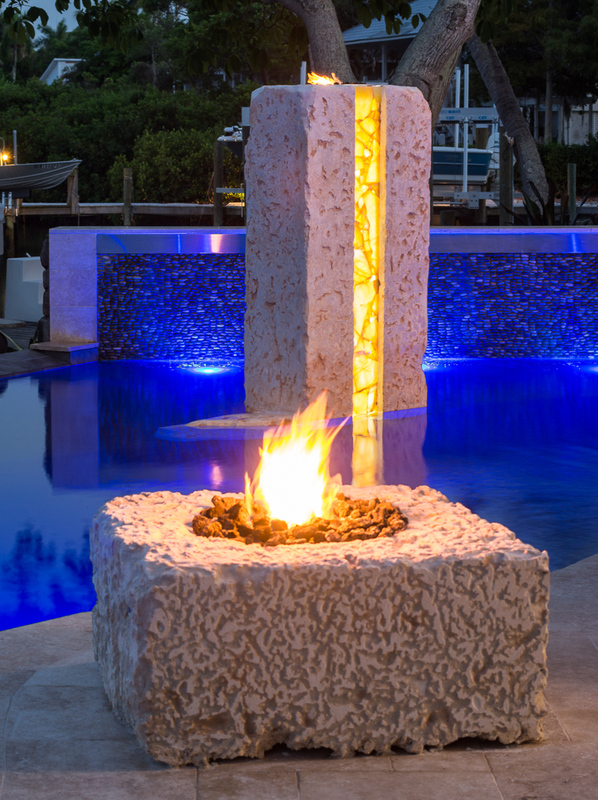 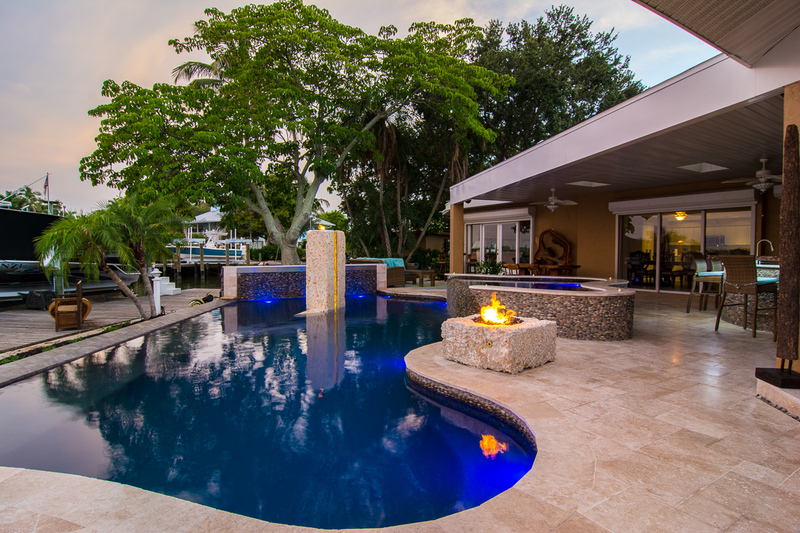 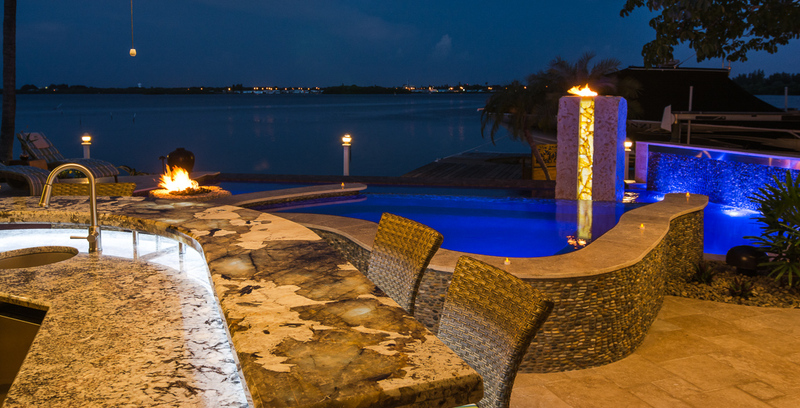 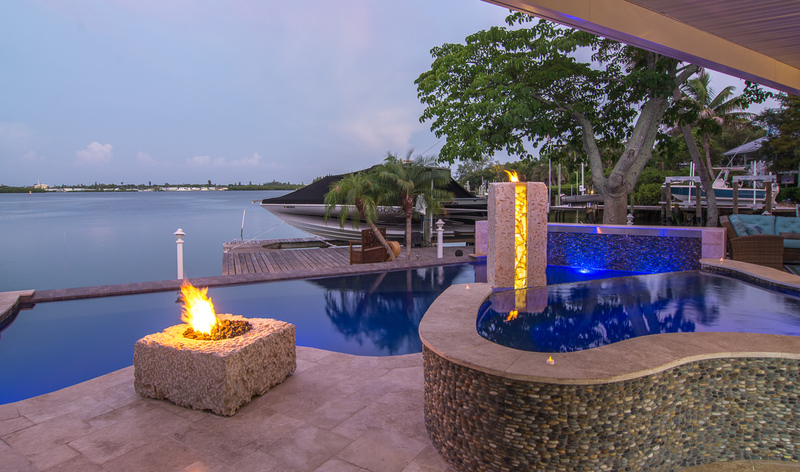 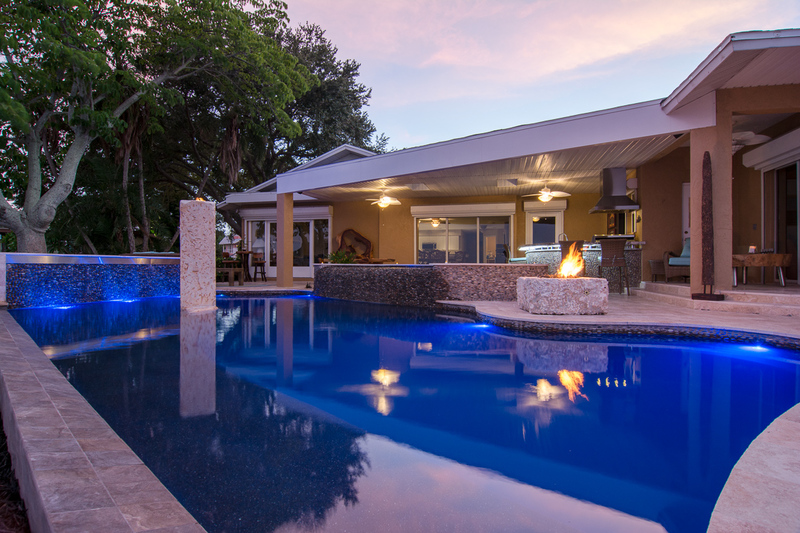 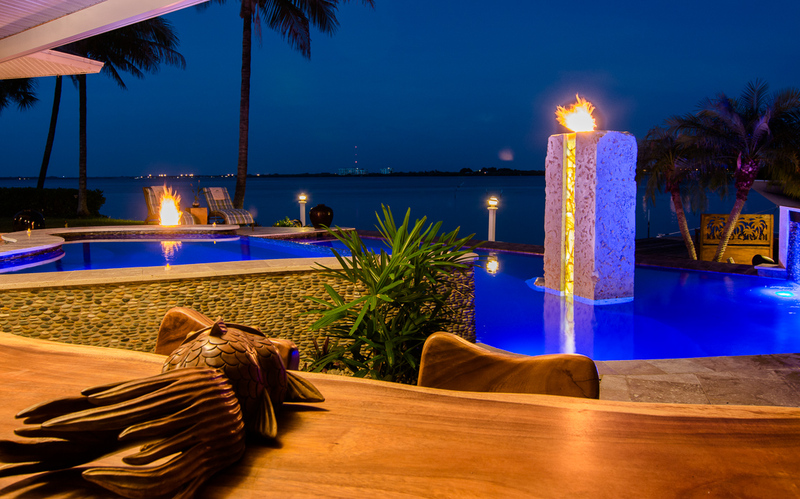 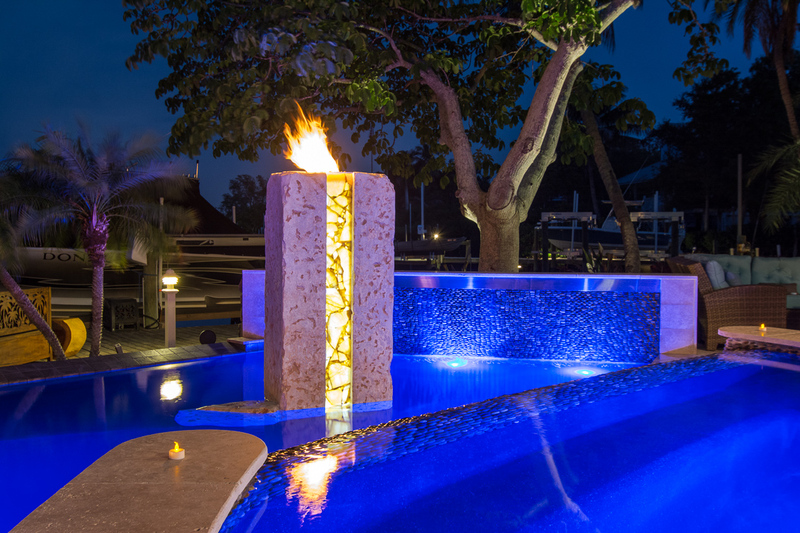 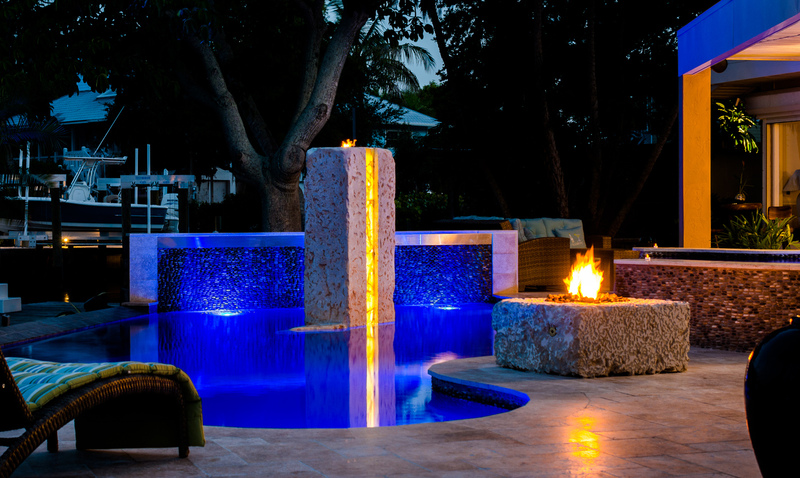 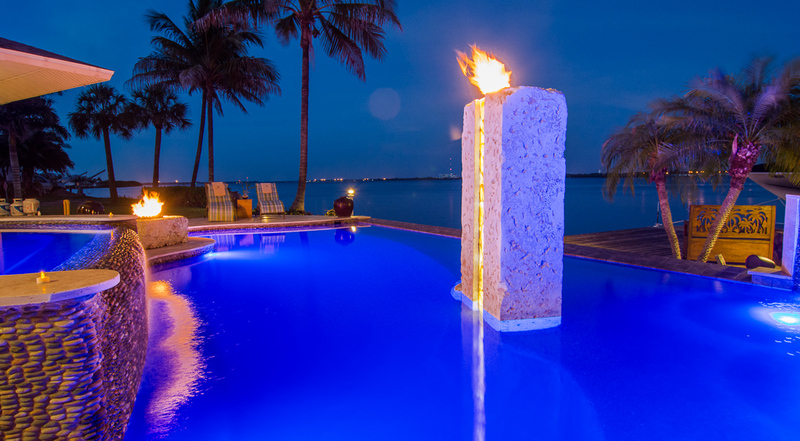 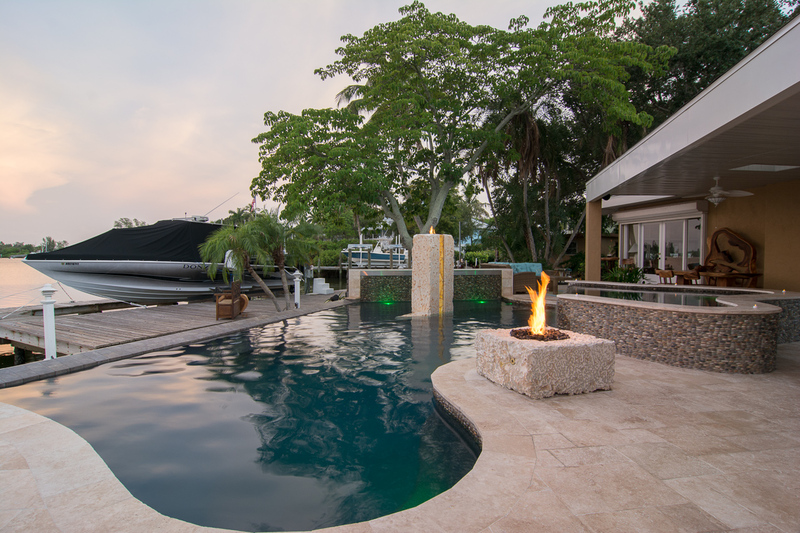 With a requirement to keep the majestic bay view on Snead Island Florida, Lucas Lagoons designed a negative edge spa and pool, centered around a 7 ft tall Oolite Monolith gas torch – artfully shaped and inset with an LED-lit soapstone channel. 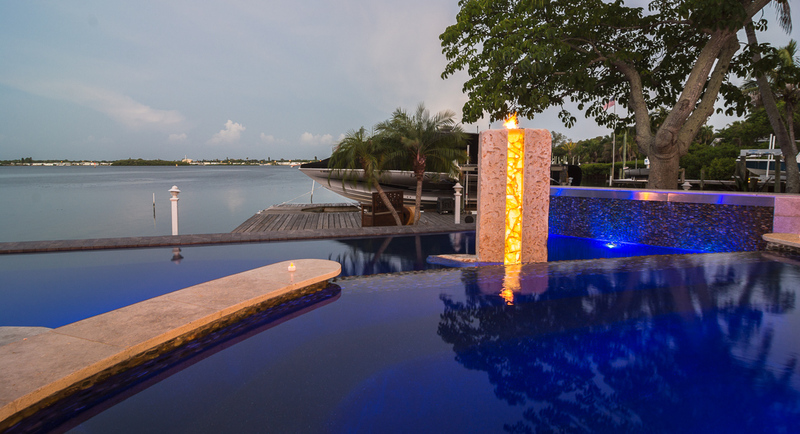 The large freeform spa, wrapped in hand-stacked beach pebbles, flows seamlessly into the 15,000 pool and completes the feeling of being right on the water. 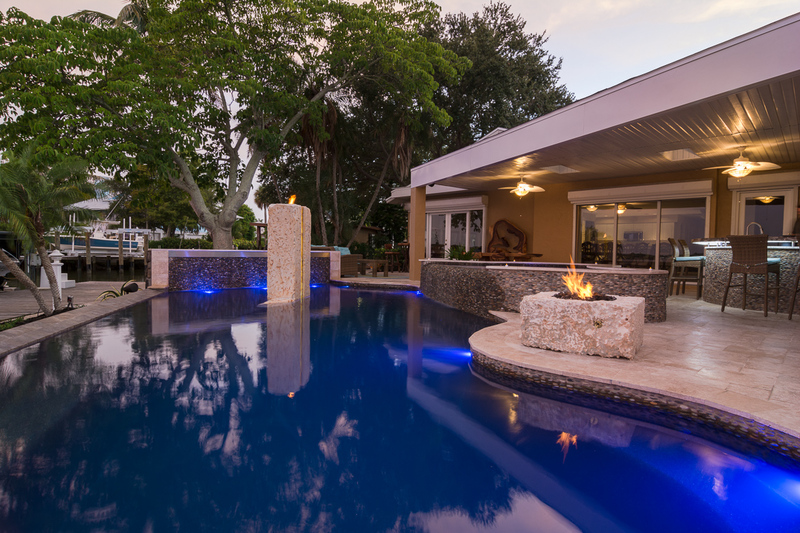 The pool includes a large sun shelf, 15 foot lit, stacked pebble waterwall, outdoor kitchen and plenty of travertine deck space, naturally complimenting this outdoor living paradise.